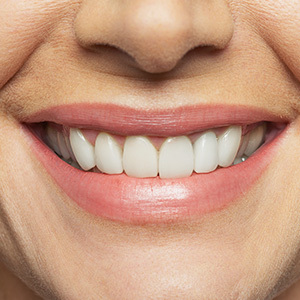 Sometimes having a tooth removed is the best choice for the health and beauty of your smile. So, how do you know if a tooth extraction is needed? You should talk with an expert. Dr. Michael Nguyen at Highland Dental in Smyrna, Georgia offers a full range of dental services including extractions, to help save your smile. Pain is often a reason to have a tooth extracted. If your tooth is badly decayed, broken, or damaged and it can’t be restored with a filling or crown, you may need to have the tooth removed. Sometimes a tooth is so badly damaged that there is not enough tooth structure to restore the tooth. Your dentist can help determine the best course of action if you are suffering dental pain. You also may need to have a tooth extracted for non-painful reasons. Many people don’t have enough room to accommodate a full set of teeth. Orthodontic treatment is an excellent choice to bring teeth and jaws into proper alignment, but sometimes teeth have to be removed. Tooth removal can make orthodontic treatment more effective and speed up the process. The most common tooth extraction is removal of third molars, commonly known as wisdom teeth. Most people don’t have room for three sets of molars and the wisdom teeth put pressure on your jaw and your other teeth. Often, wisdom teeth don’t erupt fully, or they erupt out of position or sideways. They can also stay completely surrounded by bone and never erupt all. If wisdom teeth are left in place, they are very difficult to keep clean and may decay. They can also have cysts form around them, which can destroy bone. If you do need a tooth extracted, don’t worry. At Highland Dental, you will be treated by highly skilled professionals dedicated to your comfort. To find out more about tooth extractions and other dental services, call Dr. Michael Nguyen at Highland Dental in Smyrna, Georgia. Call today!